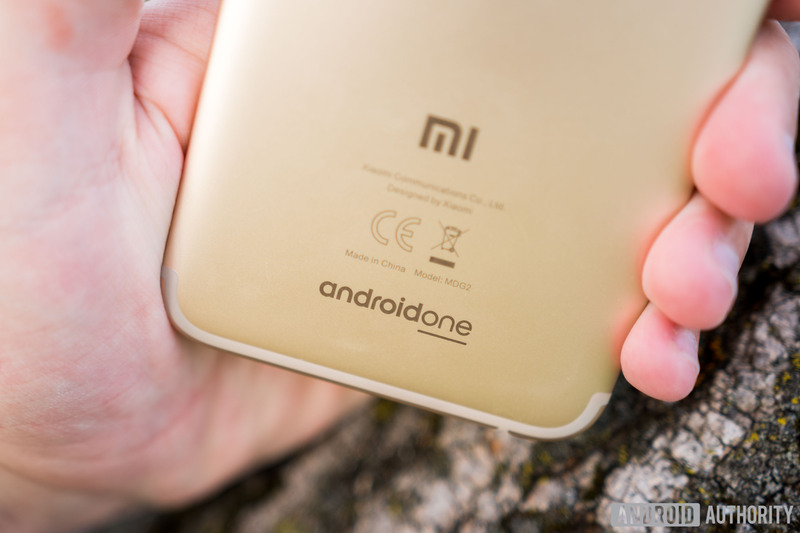 XDA also found evidence of a potential Xiaomi Redmi Android One device, codenamed “daisy_sprout,” which would include a Qualcomm Snapdragon 625 chip. Xiaomi CEO Lei Jen hinted only a couple of weeks ago that the Redmi series would be getting its own Android One device. In this guide we’ll help you find the best small Android phones worth buying. As you probably know, these days almost every phone released has a huge screen. Bigger isn’t always better, which is why some people prefer small Android phones. The iPhone SE is a perfect example of a good small phone, and Android users want something similar. With that in mind, you’ll be happy to know they do exist, and we’ll help you find one. It all started in 2011 with the Samsung Galaxy Note, and now every company offers a big phone. From the Galaxy S9 to the OnePlus 5T or Pixel 2 XL. A phone with a 6-inch screen is the new norm. If you want one that’s small, portable and easy to hold, we have you covered. These are phones that don’t look massive next to your ear. The problem is most small phones don’t come with high-end specs or the latest features. As a result, you’ll have to buy a massive phone or compromise on features. Don’t worry though, because we have you covered. Luckily there are still a few great options for buyers that we’ll detail below. The Galaxy S9, LG V30, HTC U11 and Pixel 2 XL all have big screens. However, some of those companies still offer smaller Android devices. Yes, finding a high-end phone with a tiny 3.5-inch screen is impossible, but some can come close. We’ve found some decent small phones from brands you know and trust. Our small Android phones are either extremely affordable, deliver great battery life, or offer a premium experience in a little package. These are all “small” compared to what else is available, but none have a tiny 4-inch screen like Apple’s iPhone SE. However, the Samsung Galaxy A3 is pretty compact, or theXperia XZ2 Compact. As more phones arrive throughout 2018 we’ll add them to our list. In closing, most Android phones still have screens around 5-inches or bigger. Sadly, that’s about as small as they come. However, with shrinking bezels and the latest technology, they’re more compact than you think. In fact, the Galaxy A8 (2018) has a big 5.6-inch screen but feels like a 4-inch phone. It’s a good middle ground for potential buyers. We’ve updated this list with the best small screen Android phones available in 2017. Then, we’re expecting some good candidates in May and June as the 2018 summer smartphone season kicks off. If you want a phone that isn’t approaching “phablet” territory look no further than the new Google Pixel 2. This small(ish) Android phone delivers a high-end experience across the board, has one of the best smartphone cameras on the market, and runs the absolute latest Android 8.0 Oreo software. With the Pixel 2, you’ll get the same fast Snapdragon 835 processor as every other high-end phone on the market. It’s basically a Galaxy S8 in a small package with a 5-inch screen. And while 5-inches isn’t considered “small” to everyone, it’s one of the smallest screens in the Android marketplace here in 2017. The Google Pixel 2 delivers a 5-inch 1080p Full HD Samsung AMOLED display, dual front-facing speakers, powerful specs, the latest Android 8.0 Oreo software, and a highly capable 12.3 Megapixel rear camera. Google offers the same portrait mode photography settings as the new iPhone X, on both the front and rear cameras too. To round things out, the Pixel 2 features an IP67 dust and water-resistant rating, packs a decent 2,700 mAh battery, and supports fast charging technology. Again, we know this isn’t the smallest device in the world, but it’s the most powerful small Android phone on the market today. Buy it Unlocked for any carrier on the Google Store, or from Verizon Wireless. Google refreshed its Android Developers website to bring it in line with other recent refreshes. Some individual pages were removed, while others were moved or completely changed. Google said the refresh allows for additional improvements in the near future. Apparently not satisfied with giving Gmail a much-needed visual refresh, Google finally gave its Android Developers website the fresh coat of paint it needed. That is not to say the Android Developers website appeared ugly. However, the white background, updated iconography, and organization of the refresh subjectively make things more pleasing to the eyes. Folks might argue that the refresh makes getting to certain places a bit annoying. Whereas the Android Developers website previously kept its different sections on the side, the refresh moves those sections further down. That is somewhat offset by the gigantic search bar that now greets you when you visit Android Developers. Also, certain pages will have categories at the top and additional navigational options appearing as tabs at the bottom. The use of white also falls in line with Google’s sudden love affair with the color. The recent Gmail update, as well as the Google I/O app refresh and upcoming Android P update, feature an ample use of white. Android Developers’ refresh goes deeper than the homepage, as almost every page received some sort of update. The Package Index section is one of the exceptions, while the sample code navigator only received a slight refresh. Keep in mind that certain pages were either removed, moved, or entirely restructured. The “Docs” page, for example, replaced the “Develop” page. There are redirects in place, so no need to do anything if you bookmarked the older page. Because of the vast number of individual pages, we cannot confirm whether certain documentation appears different. Either way, a Google employee on the Android Developer Relations team confirmed that the Android Developers refresh lays the foundation for upcoming improvements. While you’re here: Check out DGIT Academy, a new course on Android development for beginners brought to your by Android Authority’s very own Gary Sims. In this guide we’ll show you how to hide the home button on your Galaxy S9 or Galaxy S9+, and why you might want to. These instructions will help you hide both the on-screen keys and get rid of the home button on the always-on display. Whether you’re concerned about screen burn-in, or just want a cleaner look while watching videos, quickly removing home buttons is the easiest way. Not to mention you’ll get to enjoy the entire 6.2-inch screen. The always on screen is the small area that stays on 24/7, even when you turn the display off. It gives you at-a-glance information like notifications, the time, notifications and more. You can get rid of the home button here, and hide the on-screen keys when you’re doing other tasks and here’s how. Having a home button on the screen 24/7 can cause burn-in, where you’ll see the home button when you shouldn’t. Between the always-on display, and using your phone, it never goes away. Well, unless you turn it off. From here just choose what content you want to see. Select “clock only” and you’ll get rid of the home button. That way you won’t have to worry about burn-in on your fancy new Galaxy S9. While you’re here, take a look at the auto-brightness options or set an AOD schedule for the best experience. Additionally, you can make your phone auto-hide the home and navigation buttons when they’re not in use. That way you’re enjoying the full 5.8 or 6.2-inch screen you paid for. Then, whenever you need to use the home or back button just swipe-up from the bottom of the screen, and your buttons will return. Once you enable the “Show and hide button” you’ll see a small white dot on the bottom left of the screen. To the far left, like in our screenshot above. Simply double-tap that dot to hide your on-screen buttons. Not just the home button, but everything. Now, you have a true fullscreen experience on the Galaxy S9. Remember, just swipe up from the bottom of the screen at any moment, and your buttons will come back temporarily. This mode auto-hides the on-screen keys. To get your buttons to stay on the screen, simply swipe up and double tap the dot again. While you’re here, take a peek at these 35 other Galaxy S9 tips and tricks. Or, watch our video below to totally customize your Galaxy S9 always-on display. The next big smartphone coming soon to take on the Galaxy S9 and iPhone X is the new OnePlus 6. In fact, it’s coming on May 16th. And while the company is still slowly becoming a household name, millions of potential buyers are anxiously awaiting its next phone. Here’s everything we know so far about the upcoming OnePlus 6, its notch, and the bigger display that will take on the Galaxy S9+. Back in November of 2017, the OnePlus 5T hit store shelves. Offering a flagship Galaxy S8 like experience for half the price of the competition. Featuring an edge-to-edge display and dual rear cameras. However, for 2018, the OnePlus 6 is going to increase the screen size yet again, without increasing the price. We’re expecting a bigger edge-to-edge screen with a “notch” similar to the iPhone X. This gives you more screen in roughly the same size package as the OnePlus 5T. Then, expect an improved camera, high-end specs, a fast new face unlock technology and more. With a May 16th launch event confirmed for London, here’s what we’re hearing so far, and how you can attend the release event. Over the past few weeks, we’ve seen several important OnePlus 6 rumors, leaks, and photos that are giving us a good idea of what to expect. First things first, when can you buy the OnePlus 6? Well, that’s a question we can’t answer yet. However, you can buy a ticket to see it unveiled on May 16th, which will likely come with a coupon to buy the phone at a heavy discount. That being said, we’re pretty confident it will arrive shortly, with a release schedule similar to previous years. The OnePlus 5 release date was in June of last year, followed by an improved OnePlus 5T in November. We’re expecting something similar this year. Basically, following the May 16th launch event we’re expecting a late May or early June OnePlus 6 release date. They could surprise everyone and release it at the event, and rumors have mentioned an earlier release date, but we’ll have to wait and see. Either way, expect pre-orders within about a week of May 16th. The biggest change you can expect this year, again, will be on the display. And that’s because they’re following a trend we’re expecting to see plenty of in 2018, which is the “notch”. Basically, the OnePlus 6 screen will look similar to the iPhone X, only with a smaller and more sophisticated notch. Last year OnePlus finally decided to compete with Samsung, LG, Google and others and offered an edge-to-edge 6-inch screen. They’re taking things even further in 2018, and we’re hearing the OnePlus 6 will feature a beautiful edge-to-edge screen with almost no bezels, and come in around 6.2-inches with a 2560 x 1440 Quad-HD resolution. Essentially the same screen size as the Galaxy S9+, and almost as big as the Galaxy Note 8. However, OnePlus will utilize the popular notch design we’ve seen from Apple and the Essential Phone. This allows them to put a bigger screen in a smaller package, with fewer bezels on the top and bottom. So while they’ll offer the same size 6.2-inch screen as the Galaxy S9+, the phone will physically be smaller and easier to hold. Or, it should be, at least. So yes, the screen will stretch as close to the edge of the body as possible. That small notch houses some sensors, the front-facing camera, and the speakerphone. We’re not expecting any fancy upgrades here like the iPhone X, but OP still offers a fast face unlock feature utilizing the front-facing camera. We’re also expecting some software tricks that will hide the notch. Once we learn more about this new screen we’ll share any information available. The bigger 6.2-inch screen and notch aren’t the only exciting aspects of this phone. And while we’re not sure exactly what’s coming yet, we have a good idea. That’s because countless leaks are sharing information, and because technology is only improving so much each year. There’s only so many changes they can make compared to devices like the Galaxy S9. Shown above is the latest leak for the OnePlus 6, from Evan Blass on Twitter. This reveals what looks like a premium wood back, built-in, instead of a snap-on case like we’ve seen in previous years. However, other leaks show a premium phone with glass on the back, not wood. You’ll notice the big speaker grill and a 3.5mm headphone jack on the bottom. Aside from those few things, this will be a relatively simple yet powerful phone. Here’s what we’re expecting in terms of specs and features. As you can see, everything above is pretty expected. From the bigger screen, the latest processor, to more RAM. The only thing we don’t know yet is how much RAM, the storage amounts, and if OnePlus will add a bigger battery. Considering the screen is bigger, the usual 3,300 mAh battery they’ve used the last few years might not be big enough. We’ll have to wait and see. And if you were wondering, yes, it will have a 3.5mm headphone jack. For those keeping track, this phone matches the Galaxy S9+ across the board on just about everything. Well, aside from the variable aperture camera. Last but not least we want to quickly mention the price. That’s because OnePlus is popular for offering impressive flagship phones for half the price of the competition. When Samsung and Apple want $700-$900 for phones, and OnePlus has something comparable for $399 or $449, people take notice. We’re expecting the same thing here in 2018, although don’t be surprised if the price increases like it did the last two years. The OnePlus 5 was only $479, while the newer OnePlus 5T hit shelves for just $499 last year. Easily undercutting most of the competition. Adding a bigger screen and the latest specs mean we could see something closer to $539 for the 64GB model, but we’ll have to wait and see. That said, OnePlus might surprise us and keep the price at $499 for the 64GB model, $539 for 128GB, and $599 for the 256GB OnePlus 6. We’re not sure. Either way, a better, faster, improved OnePlus 6 with a notch on the screen is coming soon. We’ll have to wait for more information about the premium wood back design shown in leaks, storage information, and if the company can make any groundbreaking changes to the camera. Expect more information to trickle in over the next few weeks, then, stay tuned right here come May 16th. Google’s parent company Alphabet recorded revenues of $31.146 billion in the first quarter of 2018, up 26 percent from a year ago. Net income came in at $9.401 billion for the quarter, up from $5.426 billion from last year. Alphabet made some changes in its financial reporting this quarter, including removing Nest from its “Other Bets” revenues. Google’s parent company, Alphabet, revealed yet another excellent financial report, this time for the first quarter of 2018. For that time period, it recorded revenues of $31.146 billion, up 26 percent from the $24.750 billion in revenue it recorded from the same quarter in 2017. Alphabet also had a net income amount of $9.401 billion for the first quarter of 2018, up from $5.426 billion from a year ago. The majority of the revenues comes from Alphabet’s Google division. It brought it $30.996 billion for the first quarter of 2018 and an operating income of $8.368 billion. All of Alphabet’s other businesses, which include Google Fiber, its Waymo self-driving car team, and others, brought in just $150 million in revenue during the quarter. They are listed under the “Other Bets” section of Alphabet’s financial results and those revenues are up from $132 million that was recorded at the same time a year ago. Operating income came in for “Other Bets” at a loss of $571 million for the quarter, which is better than the $703 million that was lost from that same section a year ago. Alphabet made some changes this quarter in recording its financial numbers. One of them involved moving its Nest brand of smart home devices from its own stand alone business to Google’s hardware division. As a result, sales of Nest devices are no longer included in the revenue numbers for the “Other Bets” section of Alphabet’s financial report. Another change now shows Network Members properties growth in ad impressions, instead of ad banner clicks. Alphabet is also now recording any unrealized gains and losses from its various outside investments in its numbers. Alphabet broke down the financial numbers from the biggest company under its umbrella, Google. For the first quarter of 2018, Google generated a total of $26.642 billion in revenues in ads from its websites and from its Network Members websites, which is much higher than the $21.411 billion that division generated a year ago. Revenues from Google’s other businesses, which include its various hardware products like its Pixel phones, Google Home, Nest and others, along with money from the Google Play Store, totaled $4.354 billion for the quarter, which is up compared to the $3.207 billion from that segment a year ago. Alphabet’s overall employee head count also went up during the first quarter of 2018. The company now has a total of 85,050 employees, up from 73,992 from a year ago. This guide will show you how to clear the cache on your Galaxy S8 or Galaxy S8+, and explain why you’d want to. We’ll detail the steps for clearing app cache, and the system cache for your phone. Whether you’re trying to free up space or you’re dealing with Galaxy S8 problems, this is an important step to take. Unlike a factory data reset, wiping the cache partition does not delete any personal data on the Galaxy S8. This simply clears temporary files from two different areas of your device’s storage and memory. First, we’ll quickly show you how to clear both in our video, then explain the cache and share step-by-step instructions below. So what is the “cache” anyways? When you open or use apps they store files, data, or information to use later. That way the phone or app is faster the next time you use it. For instance, when you load Instagram it caches a lot of the app, including auto-play videos, that way the app “just works” when you scroll through your feed. Sometimes the information saved in the cache takes up too much space or causes an app to misbehave. A similar situation happens with each software update on the Galaxy S8. That’s why clearing the system cache is an important step in most guides on how to solve problems with your phone. It clears out residual leftovers from apps or updates and gives your phone a fresh start. If you didn’t watch our video, here’s how to do it. Make sure you turn off the phone, then hold all three buttons from the first step at the same time. Hold them down the entire time you see “Galaxy S8” on the screen. Once you see the blue Android, let go. Then, the rest is pretty simple. Just don’t select “factory data reset” as that will erase your entire device. So be careful. Reboot your phone and you’re all done. Another common step is to clear app cache on smartphones. This will fix a misbehaving app, or free up space when something like Instagram or Facebook are starting to use up too much space after months of use. Each app temporarily stores information. And slowly, that cache starts to add up and you might run out of space on your phone. Here’s how to clear the cache on each app themselves. Only select the Clear Cache option, and don’t tap the Clear Data button. Otherwise, your Galaxy S8 will delete all of the data associated with that app, including settings or login information. And while that won’t cause any problems, it’s frustrating to deal with. If you clear the data for Instagram you’ll have to log in again, then change any settings or options. It wipes out everything similar to uninstalling an app, without actually uninstalling it. Just keep that in mind before you proceed. When Should You Clear the Cache? So when should you clear an app’s cache or your phone cache? Most likely you’ll never have to do this. And while it can help after a major update like the Galaxy Android 8.0 Oreo update, you still shouldn’t need to. That said, if an app starts to misbehave or “feel” slow and laggy, this is a good place to start. Clear the cache first, then try uninstalling and reinstalling it. For other Galaxy S8 problems check out this post for more help. If all else fails, try clearing the full cache on your Galaxy S8 using our guide. If you want to block a phone number from calling you on the Galaxy S9, we have you covered. This guide will show you how to start a blocked call list, and how to stop text messages too. Whether you’re trying to avoid telemarketers, unknown numbers, or dodge your ex, these are the steps you’ll want to take. We all have certain numbers we don’t want to hear from. Or, if someone won’t stop texting you we can block that too. You can send numbers directly to voicemail, or just block them completely and you’ll never even know they called. Let’s get started. You can always drag the red phone icon during an incoming call to ignore the call, but if you want to completely block a telemarketer you have to add the number to a blocked list. And while there are dozens of apps on Google Play that do this, Samsung has controls built right into the phone. For one, you can enable Block unknown callers so you never get calls from a number you don’t know, or that doesn’t register. That’s a great place to start. We’re all done. Now, your Galaxy S9 will immediately recognize and block that specific number whenever it calls you. Alternatively, you can tap on a number from your recent calls menu then tap “Block Number” at the bottom right of your screen. Perfect for getting rid of a number that just called you. You can follow similar instructions to block text messages and more using Samsung’s Messages application. In fact, Samsung offers even more blocking tools and options in its text message app. So, fire up Samsung “Messages” and follow the instructions below. As you can see, Samsung will let you block numbers or entire phrases. The text message blocking tool is easier to use than the Phone blocking system, too, for whatever reason. You can dial a number and block it, find one from your messenger inbox, or look up and block a number from your contact list. Add new numbers to the blocked list, then tap back and add a phrase. That way if you keep getting spam texts about a free vacation, or “WINNER” you can block those specific phrases. Just keep in mind that this will block those words from anyone, even friends and family if they say that word. That’s it. You’ve successfully blocked specific numbers from calling or texting your Galaxy S9. It’s worth mentioning that these instructions work for the Galaxy S8, S8+, Note 8, and likely most older Samsung smartphones as well. It’s a system-wide setting Samsung offers for smartphone owners. Additionally, you can find dozens of third-party “Call Blocker” apps on the Google Play Store. And while some have a lot of fancy features or controls to get rid of spam, the free built-in tools detailed above are more than enough for most. Before you go, take a peek at these 35 Galaxy S9 Tips & Tricks. In this guide we’ll show you how to customize the Galaxy S8 always-on display. In fact, you can add a GIF right to your screen and see it even when you turn the screen off. Samsung’s always-on display is a popular feature people love, and with the Oreo update, they made it even more customizable. The always on display gives you small bits of information at a glance even when the screen is “off”. Information like the time, date, battery level, and incoming notifications. However, along with dozens of clocks and hundreds of customization combinations, now you can add a GIF to it. To get started, go to Settings > Lock screen & security > and scroll down to Lock screen & Always On Display. Then, check out our quick video for more details on customizing the Galaxy S8 AOD. Samsung recently changed how and where you go to change and customize the Galaxy S8 always on display. As you can see in our video above, it’s no longer in the “display” section of settings. And, customization is somewhat hard to find. If you can’t watch our video, here are the step-by-step instructions. You can select from over a dozen different clock styles for the Galaxy S8. Then, each style has different options, fonts, colors and more. In the end, there are hundreds of possible combinations when it comes to customizing your screen. And with the introduction of GIF support, you can add even more. That includes downloading a GIF from the internet and using it on your always on display. Here’s how. From here you can scroll through a wide selection of customization options on your Galaxy smartphone. Samsung has clocks, calendars, background images, moving wallpapers, and yes, GIF support. Click the 11th square at the bottom, then select add GIF from the middle, and you’re all set. As you can see, we added a GIF to the always on display on the Galaxy S8. Now, every time you turn off your screen a small area will turn back on, and you’ll see that GIF. When you tap on “add GIF” you can select the red minus sign in the middle of the screen, then tap the big PLUS sign. This lets you add a GIF right from your phone. This way you can use a clip from the internet, or from a video you took with the Galaxy S8 camera. The choice is yours. Keep in mind that this is on the lock screen, so the GIF can’t be too long. Otherwise, you’d get significant battery drain. It also only loops the GIF once, likely to reduce battery usage. Still, it’s one more neat thing you can do on the Galaxy S8. Before you go, take a peek at these 10 other cool things your phone can do. Or, get a new case from our roundup of the 25 best Galaxy S8 cases. The Optoma NuForce BE2 Earbuds offer everything you could want from a wireless in-ear headphone experience. We’re all looking for a pair of high-quality earbuds that aren’t going to break the bank. Right now on Amazon you can grab a pair of the new BE2 buds for only $39. It’s rare you’ll find earbuds of this caliber at such great value. When it comes to selecting wireless earbuds, your first question is likely to be about battery life. This is an area in which the BE2 model really comes into its own. These buds can be used continuously for up to 10 hours without charging. Even if you’re heading out for the whole day, there’s little chance of them letting you down. Looking for sports use? The NuForce BE2 Earbuds have an IPX5 water-resistance rating. That means they’re proven to withstand actual jets of water. Unless the sport you have in mind is the backstroke, they’re the ideal gym buddy. Working up a sweat or getting caught in the rain won’t trouble your listening experience at all. Headphones are lightweight tech so there’s always a risk that they could be delicate and fiddly. Optoma has thought this through, and they’ve given the BE2 a uniquely durable and functional design. A polycarbonate craft means that the BE2 Earbuds are extremely lightweight. But if you are the type of person who’s prone to fraying headphones, you can rest easy. The cables on these buds are reinforced with Kevlar. That’s a material five times stronger than steel and used to make bulletproof vests. It would be tough to snap them if you tried. Another nice little design touch is the magnets in the buds themselves. When they’re not pumping high-quality sound into your ears they’ll naturally stick together, avoiding a fight to untangle them before each use. Given how many hours you can use them in the day, you’re going to want buds which are a great fit. With the BE2 buds you won’t be disappointed. Optoma have patented their Spin Fit Twin Blade ear tips which are designed for optimal comfort, providing superior stability and improved noise isolation. Before long you won’t even notice you’re wearing them. Of course, there would be little use in the BE2 buds having such a wealth of top features if they didn’t have the sound quality to match. Fortunately, Optoma is writing checks that it can cash. The BE2 is the only model in its price range which supports AAC, ensuring maximum Audio quality and connectivity with Apple products such as your iPhone or iPad. You can pick up a pair of BE2 Earbuds in either White or Black, and they also have a built in microphone for fielding calls on the go. Nothing has been overlooked in this stylish piece of tech. Promotions like this don’t come around often, and they don’t last very long. To find this great offer on Amazon hit the button below. EA’s Battlefield 2018 announcements are getting closer, but the release date is still months away. That makes buying Battlefield 1 a very tempting proposition. In this guide we’ll take you through some reasons to buy Battlefield 1 in 2018 and some reasons why you might want to save your money and wait for the new game. Battlefield 1’s been out for a little more than a year now and in that time DICE’s released some huge updates and four DLC expansion packs. The fourth and final DLC, Apocalypse, takes Xbox One, PlayStation 4, and PC gamers to some of World War I’s most iconic battlefields. The developer continues to release new patches and with the Battlefield 1 CTE still active, we could see new Battlefield 1 features emerge throughout 2018. After skipping 2017, EA’s confirmed a new Battlefield game for 2018. The Battlefield 2018 release date is confirmed for October and EA will showcase the game in June at its EA Play 2018 event in Los Angeles. The company hasn’t confirmed the setting of the game, but rumors have hinted at a return to the battlefields of World War 2. Battlefield 2018 rumors have also outlined potential features including game modes, maps, vehicles, gun attachments, and other gameplay elements. As the year goes on you might find yourself wondering if you should buy Battlefield 1 or save your money for Battlefield 2018. Here are some reasons you might want to pickup a copy of Battlefield 1 and some reasons why you might want to hold out. Battlefield 1’s been out since October, 2016. It’s pushing the two year mark, but don’t let that stop you from picking up a copy. The Battlefield 1 that launched in 2016 is much different than Battlefield 1 in 2018. The game is far more polished thanks to a steady flow of bug fix updates and DICE’s released a ton of free and paid content for Xbox One, PlayStation 4, and Windows PC. While games like Fortnite and PUBG have likely taken away some of Battlefield 1’s player base, it’s still quite easy to hop on and find a fully populated game of Operations, Conquest, Frontlines, and other popular game modes. We recently needed a break from PUBG and had a blast playing a mix of old maps and new maps across Battlefield 1’s various game modes. We expect DICE to continue supporting the game throughout 2018 with new challenges, new bug fixes and enhancements, and, if we’re lucky, new content. Battlefield 1 is getting older, but it’s still a blast to play, particularly if you can group up with a full squad of friends. This week archaeologists dug up treasure belonging to Danish King Harald Bluetooth in northern Germany. Nice find, but it won’t change his real legacy: Bluetooth speakers! Summer is so close you can almost feel it. There’s all kinds of outdoor action to be had, and great soundtracks to be played. All you need to get the party going is these Wonderboom Waterproof Portable Bluetooth Speakers. DailySteals have been up to their bargainous tricks again. They’ve price-dropped a pair of these stylish Bluetooth speakers from $200 down to just $89.99. You can even save a few more bucks with our exclusive promo code (see below). The two can be paired for the full surround sound effect, but they’re also independent so you can split the cost with a friend and start a party each. This small-yet-powerful speaker is perfect for the bathroom, the beach, or the pool. Pretty much anywhere you want clear, crisp, dynamic sound. It’s waterproof to 3 feet, which is more than ample since it floats. It’s also drop-proof. We haven’t looked up what that means, but we assume it’s hard to break. It sounds like the ideal speaker for any outdoor adventure, and the critics love it. Hang loop easily straps speaker to any bag or backpack. 100 ft. Bluetooth wireless range. Tap to play, pause or skip songs. Connect two speakers for even bigger sound. Works with Bluetooth wireless smartphones, tablets and other devices. There are three lively colors to choose from: Subzero Blue, Phantom Black, or Stone Grey. You can a get matching pair or mix it up with two different colors. These are refurbished stock which is why they’re such a hot deal for a high-end Bluetooth speaker, but it also mean they’re in limited supply. Make sure you don’t miss out. Hit the button below to get the Promo code and find the deal.